This is an As-Is approved short sale. Please call agent for details. This location is awesome! 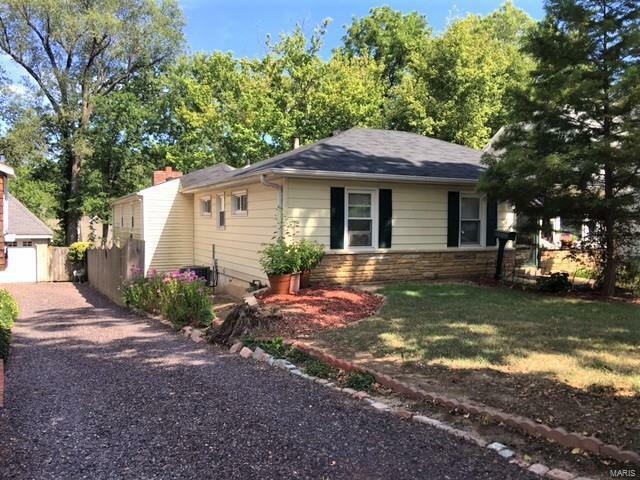 Enjoy life on a quiet desirable street of updated and expanded homes just seconds from area shopping and dining establishments on Manchester Rd and minutes from downtown Kirkwood. This 3-bedroom, 1 bath home is also located in the Award-Winning Kirkwood School District! The backyard has a patio overlooking a pretty terraced yard with many perennials and a stone walkway. There is an add-on great room with a kitchen that overlooks it. This home needs updating and has a large unfinished basement for more expansion if desired. .
N Kirkwood Rd to West on Peeke, to North on Evans Avenue. Home is on the right.